This exhibition celebrates the first ten years of the University Art Gallery with a general “documentation, rather than a [more specific] demonstration of purely aesthetic taste" of the Gallery's history. The artists included in the show have attended and / or taught at the University of California, Irvine. In fact, “nearly every prominent Southern California artist of [this] period has taught or lectured at Irvine, as have Richard Smith, David Hockney, Robert Morris, Barbara Rose, Phil Leider, and John Coplans." 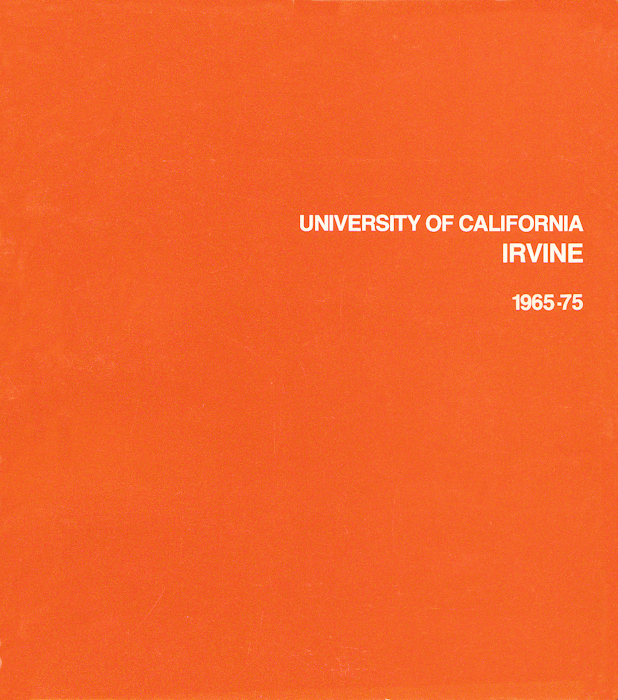 Also included in this catalogue are responses from faculty and students, which show that it is “quality of communication” that “is the most positive aspect of the student/faculty relationship at Irvine."